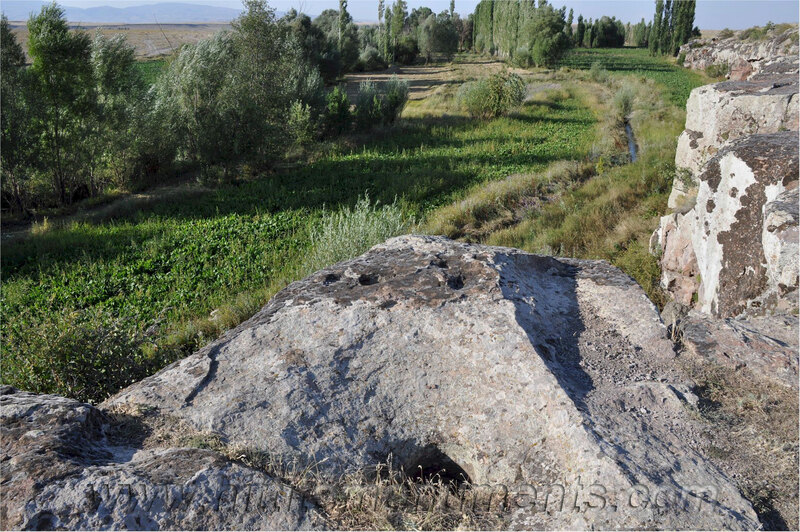 This relief from mid-13th century BCE is located near the Gümüşören (Fraktin) village of Develi, about 78 km to the city of Kayseri. 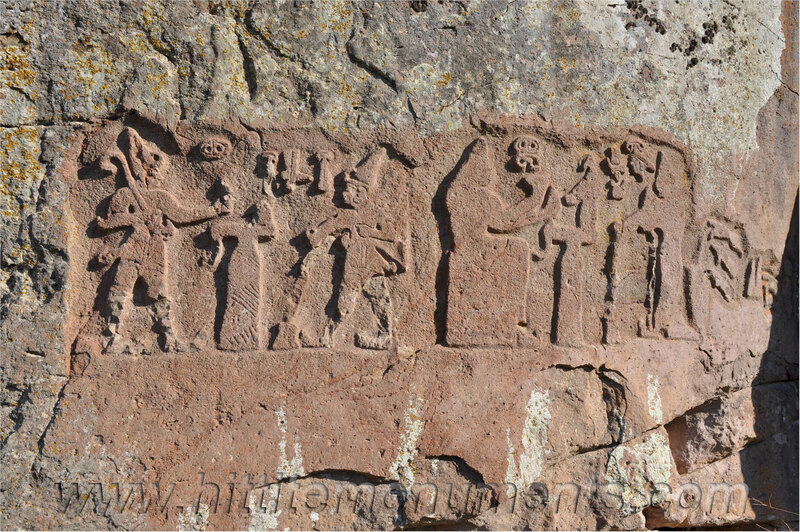 Sculptured rock-panel shows two groups of figures in a religious act. 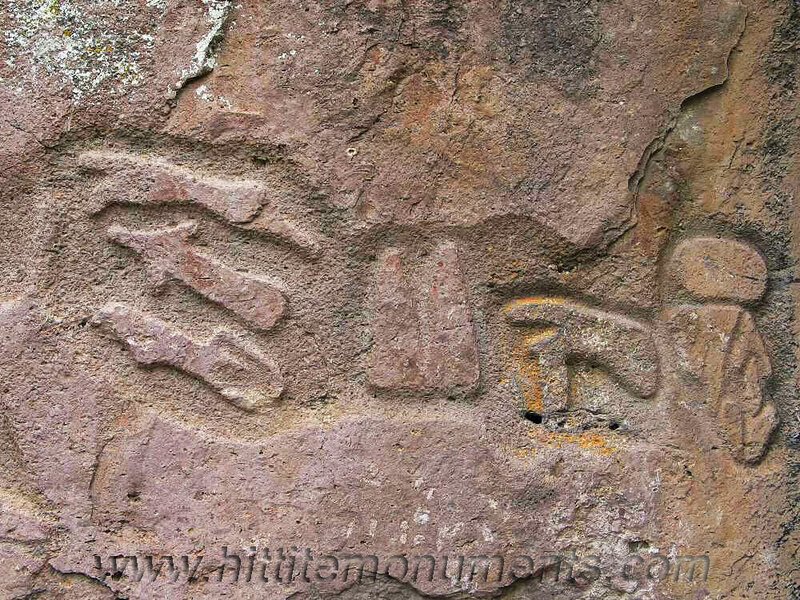 The figures are identified by labels in Luwian hieroglyphs. The relief was first noticed by Sayce in 1880. It is about 1.3 meters by 3.2 meters in size. 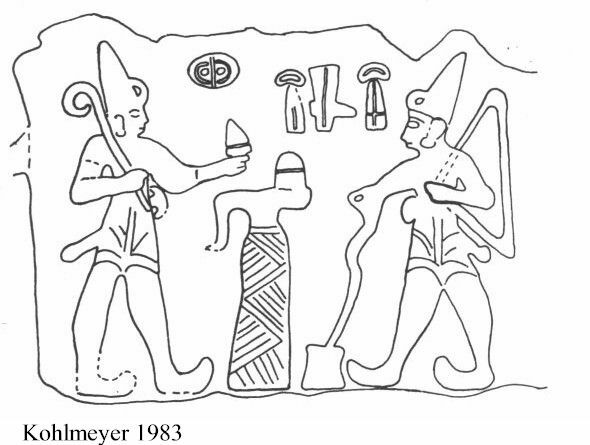 The scene on the left shows Hattusili III, as read from hieroglyphs above the figure, pouring libation to the Storm God. The scene on the right shows Queen Puduhepa, depicted clothed from head to foot in her priestess robe, pouring libation to the goddess Hepat. This scene on the right is in unfinished condition and the figures lack details. Both scenes have an altar in the middle. 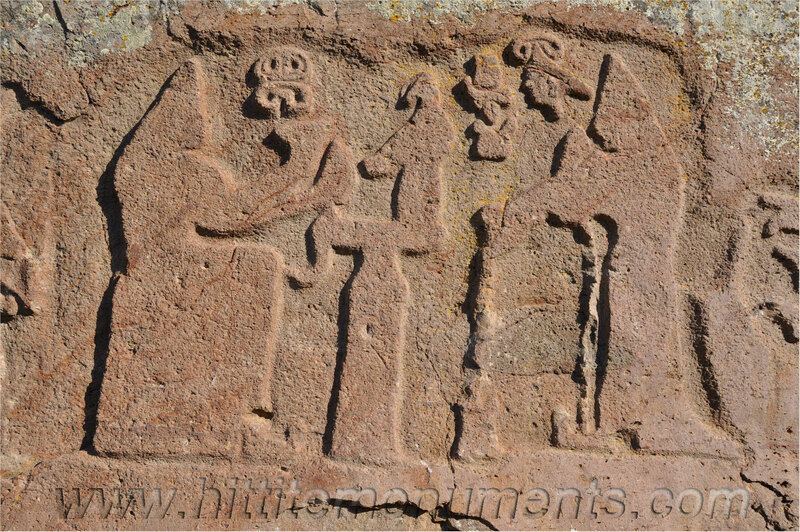 There is a bird figure on the altar in the left scene, and possibly a piece of bread on the right scene. 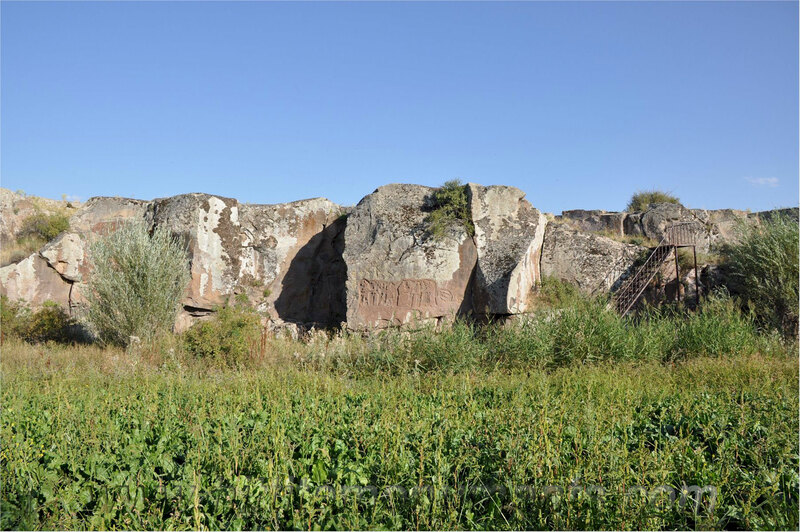 Further to the right of the reliefs, there is also an unfinished inscription, which has been read by Güterbock as "daughter of the country of Kizzuwatna, beloved of the gods" (ká-zu(wa)-na REGIO FILIUS DEUS á-zi/a-mi) This certainly refers to Puduhepa, who was a daughter of a priest from Kizzuwatna (Cilicia). 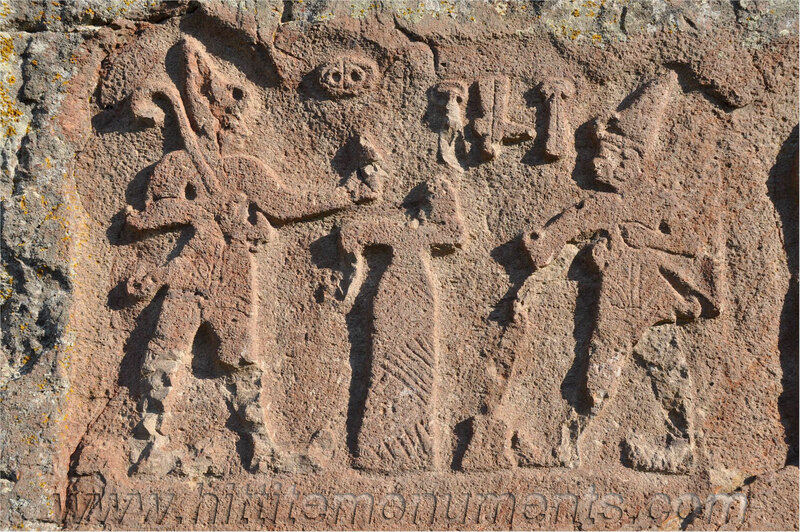 Hattusili is shown with a horned hat like the gods, and this may mean the relief was made after his death during the reign of his son Tudhaliya IV. 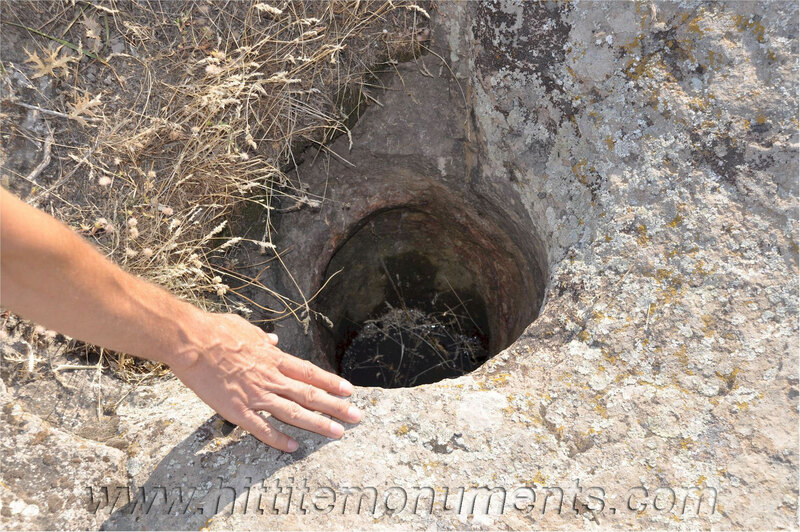 The plateau above the relief has at least two libation holes, which further indicate that the site was used for religious ceremonies. A replica of the relief can be seen in Kayseri Museum. International Congress of Hittitology. 247-59. 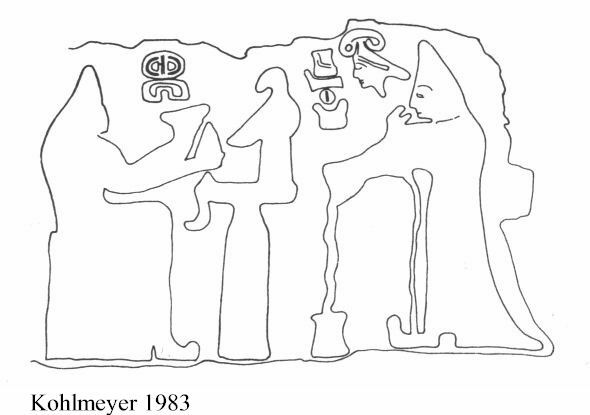 Kohlmeyer, K. "Felsbilder der hethitischen Großreichszeit", Acta Praehistorica et Archaeologica 15, 1983: 7-154 (67-74). Laroche E. "Les reliefs de Fraktin," FsT.Özgüç 1989: 301-302. Laroche E. "Les deux reliefs de Firaktin," Anadolu 23, 1984: 123-129. Özgüç, T. "Excavations at Fraktin near Develi and Researches in Anti-Taurus Region," Belleten 12, 1948: 266–7. Özgüç, T. "Finds at Firaktin," Belleten 19, 1955: 301–7. 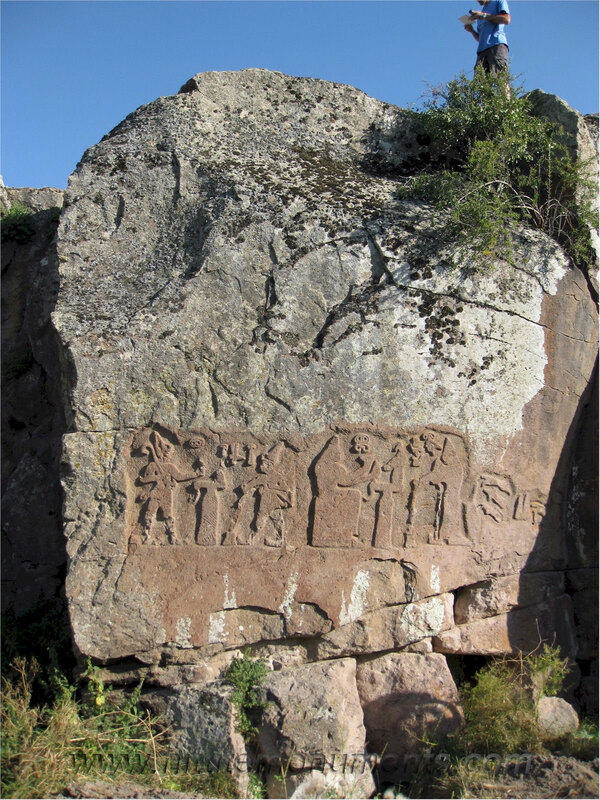 Ussishkin, D. "Hollows, 'Cup-Marks', and Hittite Stone Monuments," AnSt 25, 1975: 85-103.